“Lichens are not plants!” I hear you say! 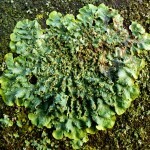 So what are lichens doing here on this botanical website?! Well, says Dr M, they are at least half plants! Lichens are a kind of symbiotic union between two very different groups of organisms (different Kingdoms even!) a fungus (Fungi Kingdom) and an algae (Plant Kingdom). And there’s plenty of other reasons to love them! Lichens are among the most curious and curiously beautiful of all organisms. Thousands of species world-wide in all weird and wonderful shapes and sizes and colours, a genuinely unique group. Lichens are uniquely challenging too! Defying normal taxonomic rules. For example, taxonomy is founded on the concept of species, but lichens rock that foundation, for how can one define a species when two separate Kingdoms are involved in defining one living organism or rather union of organisms?! Even their symbiosis defies the norms! Indeed is it a symbiosis at all? Or is the fungus parasitic on the algae? The fungus is the only partner to reproduce sexually and the algae is consigned to evolutionary stasis, held prisoner within the fungal walls, living and functioning yes (for the algae is kept prisoner in order to ply the saprophytic fungus with carbohydrates and nutrients from photosynthesis) but unable to reproduce so each algal cell is, in evolutionary terms, forever unchanged and unchanging. Massively diverse and massively successful even in the harshest of environments. Lichens are found in almost every ecosystem in the world from the frozen tundra of the north pole, through the boreal, temperate and tropical forests, mediterranean chaparral, the unforgiving heat and cold of the World’s deserts, to the frozen wastes of the South Pole. Some lichens are aquatic but never fully marine although lichens can be found in marine systems, e.g. where salt-tolerant lichens create the characteristic orange and brown lichen zonation on maritime rocky cliffs. Lichens are too often ignored despite their amazing qualities and the really fundamental taxonomic and evolutionary and ecological questions which they raise. 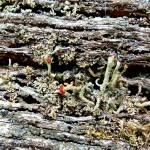 Why are lichens ignored? Some accuse them of being “wanna be plants” and seem to despise them for this reason, a rather curious stance to take! Others ignore them perhaps because they are so stubbornly difficult to fit into the scientific taxonomic order. Some ignore them (and here I slightly sympathise) because they can be fiendishly difficult to ID accurately as there are so many of them and they do have a habit of varying rather a lot in morphology from sample to sample! Worrying lichenological fact #42: trained lichenologists are amongst the most “endangered species” of taxonomic experts! Encouraging lichenological fact #37: If you take to lichens (and if they take to you) maybe you have discovered your most satisfying niche career at last?! 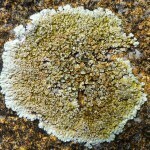 Dr M says: Liking lichens is just so easy once you give them a chance. To ignore them is to deny yourself a glimpse into the weirdest and most wonderful group of organisms imaginable. Take a look at a lichen with the hand lens or under the microscope and travel into a new and extraordinary world, irresistible surely?! All reasons aplenty for Dr M to make sure that his students get at least a taster into this wonderful world and maybe, just maybe, generate some future lichenologists along the way! Lichens come in a diversity of growth forms: Crustose, filamentous, foliose, fruticose, leprose, squamulose and gelatinous! And to help identify lichens we need first to decide which of these growth forms we have. Below are illustrations of the most common of these lichen growth forms: click on the images for more glorious lichenological detail! 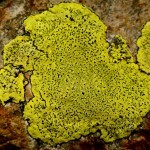 Crustose: flat like a crust and difficult to remove from the substrate without damaging the fungal body of the lichen (thallus). Foliose: leaf-like, with an upper and lower layer (cortex) of different form and colour and often growing flat to the surface of a tree or rock but relatively easy to remove from the substrate intact (compared to crustose). 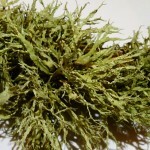 Fruticose: branched and bushy with similar appearance on upper and lower surface. Cladonioid: distinctive type associated with the large and complex genus Cladonia, and often having both foliose and fruticose elements. 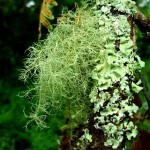 Dr M says: Check out Dr M’s other liking lichen posts on: crustose lichens, foliose lichens, and fruticose lichens! 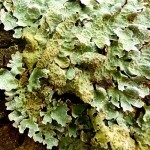 Lichens are fab, the common ones on trees are not too difficult (tho most of the others are!) and there are some great FSC sheets to help you get started. The recently-launched SPLASH project brc.ac.uk/splash brings together botanists, lichenologists and bryologists to monitor effects of Ash Dieback in our woodlands – so this is one for slightly more experienced recorders. 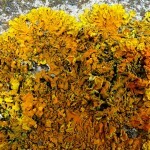 Repeat – lichens are fab, take a look through your lens and you will be hooked. 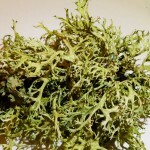 NB Expert lichenologists are very well paid – supply and demand! Awesome post Dr M! It just so happens my A Level biology students are collecting ‘Lichen of the Day’ each day this week and your post will come in very handy for them. Thank you! I learned from the best Dr M 🙂 We had ‘Moss of the day’ last week and I plan to do ‘Grass of the day’, ‘Winter twig of the day’, ‘College weed of the day’ etc. as we go through the year. On a side note (and my students won’t forgive me if I don’t mention it), isn’t algae in the kingdom protoctista and not plantae? 14 A Level biology students at Andover college await your answer (we studied the 5 kingdoms last term)…….. Thanks! Apparently there are at least 2 errors in this blog post, I am setting my MSc students the challenge of finding them, nice to know that even Dr M is not perfect! My colleague the esteemed Professor Culham (you might know him?!) says: Green algae are plants, so are red algae, it gets complicated with brown algae and stramenopiles (which include diatoms) which are now in the horribly named Chromalveolata along with things traditionally treated as fungi (but are not any more). Crikey, I’d never question Prof Cullam’s words of wisdom! I’ve passed on your info to my AS Biology students in an attempt to clarify the issue (they didn’t like it – at that stage of learning they aren’t comfortable with ‘some seaweeds are plants while others are possibly plants). I had a look at the blog link you sent (thank you) which was interesting – although I found the author’s tone a little condescending; if Deb’s knowledge is outdated, isn’t the honourable thing to educate her (and so her students) rather than berate her in a blog? That said, I need to do some more digging into “what makes a plant a plant?”. I need to know more about Chlorophyta, Rhodophyta and Phaeophyta alternation of generations, sterile cells surrounding reproductive structures, ‘parasitic’ multicellular diploid embryos on parental tissue etc. Am looking forward to having some time to that – although it’ll have to be after the lecture on human blood groups is written (oh the life of a biology teacher …. 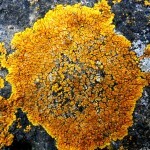 animal stuff to do too)…..
You can study UK lichens all year round too. There’s no ‘off-season’. I’ve really taking a lichen to this post, Dr M! About 10% of lichens also have a symbiotic relationship with cyanobacteria (Kingdom Monera/Eubacteria depending upon your chosen classification system), housing them in specific structures (a cephalodium), enabling them to fix Nitrogen.